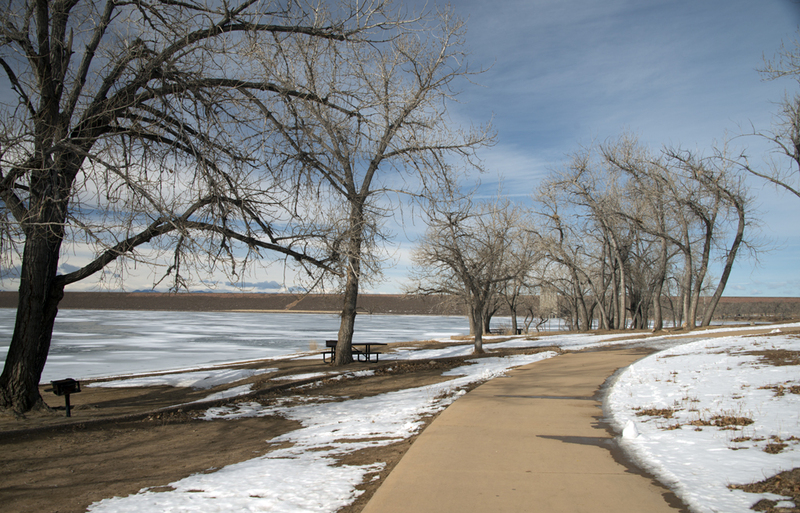 Last January my husband suggested we take a ride to Cherry Creek State Park, just southeast of downtown Denver in the suburb of Aurora. He’d stayed nearby on a business trip the year before we moved here. Even though there was some snow on the ground, the temps were in the high 50s with lots of that Colorado sun, so we set out. 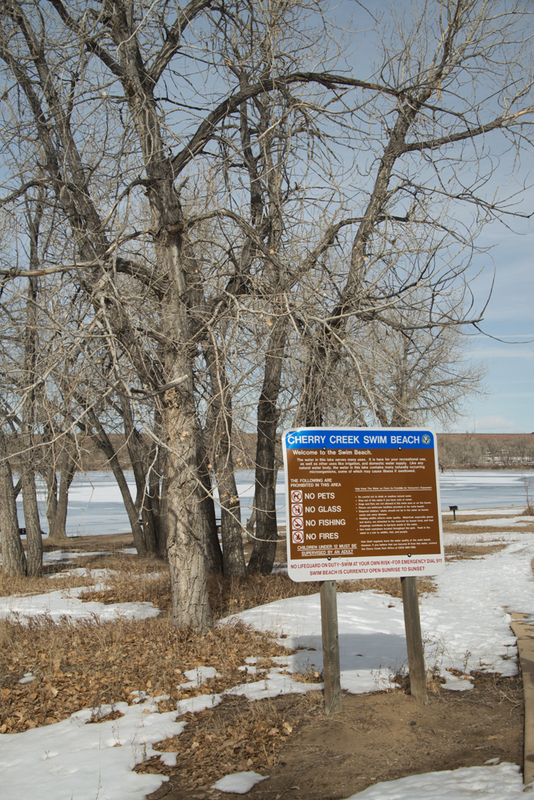 Cherry Creek State Park covers 4000 acres; 880 of those acres are covered by the reservoir, which has an average depth of 46 feet. 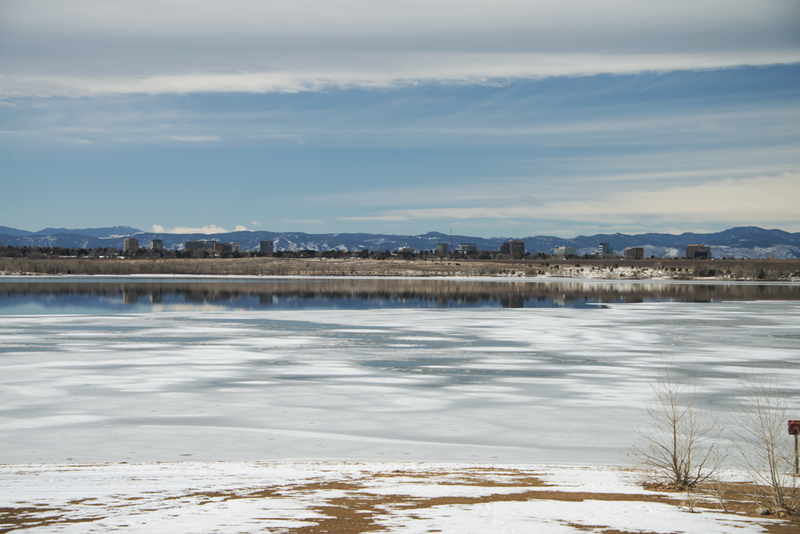 In the picture below, you can see the reservoir – about a third iced-over – in the foreground, the Denver Tech Center (DTC) skyline in the midground, and the Rockies in the background. 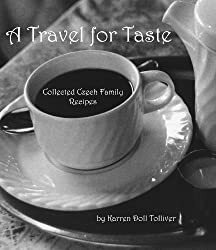 Cherry Creek, for which the park is named, rises in the Front Range of the Rockies and actually flows north and northeast, though downhill, of course, for about 48 miles toward Denver where it flows into the South Platte River. 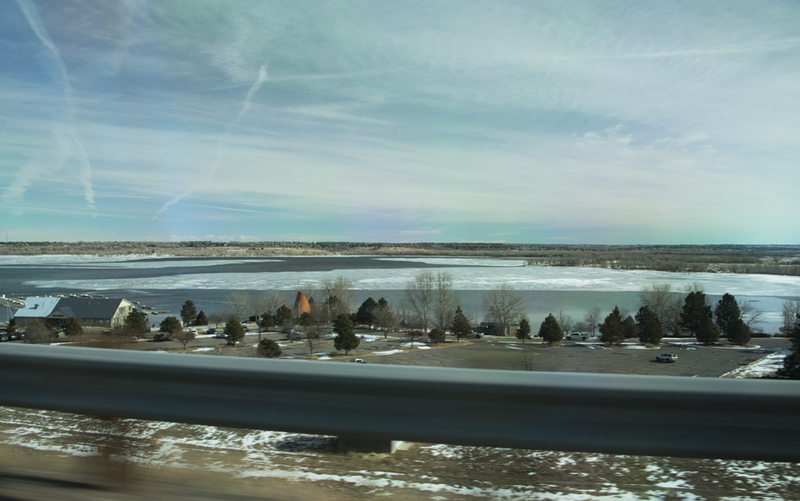 Isn’t it amazing that the South Platte then flows into the Platte, which flows into the Missouri, which flows into the Mississippi, then into the Gulf? Geology. 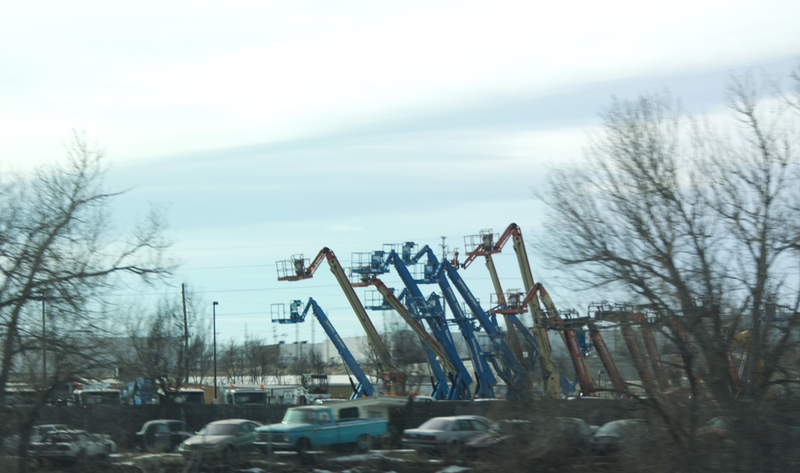 Anyway, in 1950 the Army Corps of Engineers built a 140-foot high dam that spans 14,300 feet across Cherry Creek to control disastrous flooding that had plagued the area for generations. 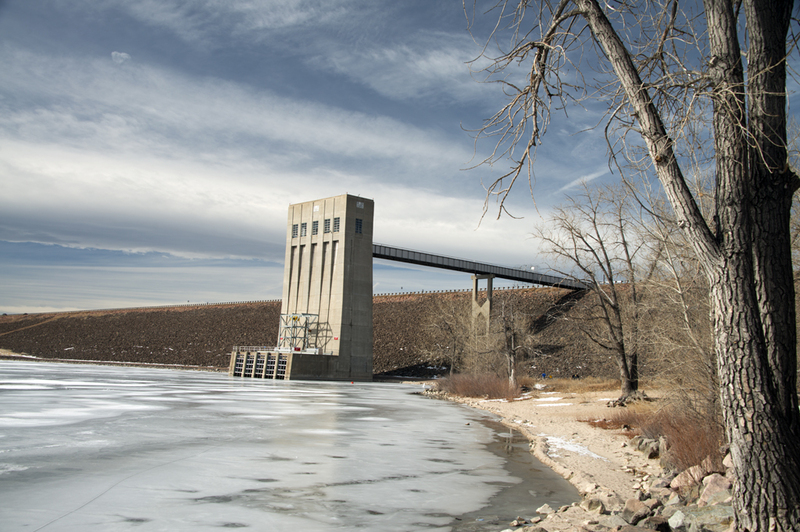 The Army Corps still owns and operates the dam. That created the reservoir. Nine years later, the park opened. 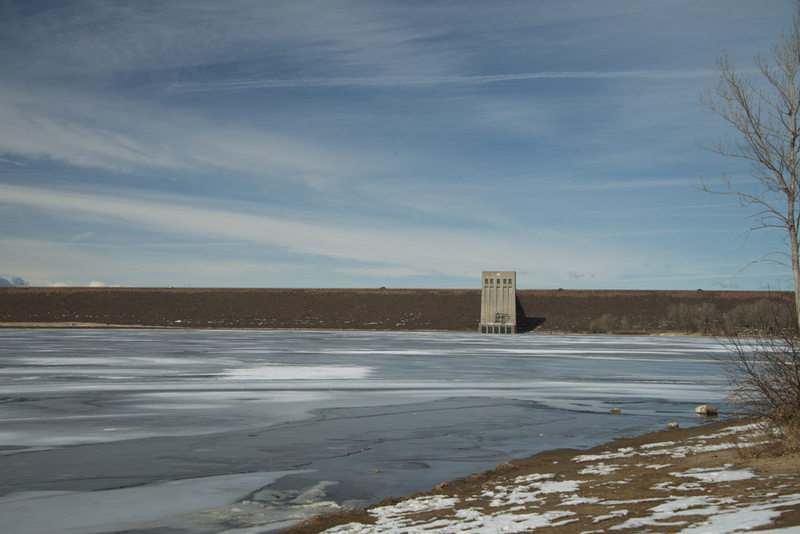 Here’s a pic of the Dam Tower (my favorite name for a tower). It houses the sluices that allow water through the dam. 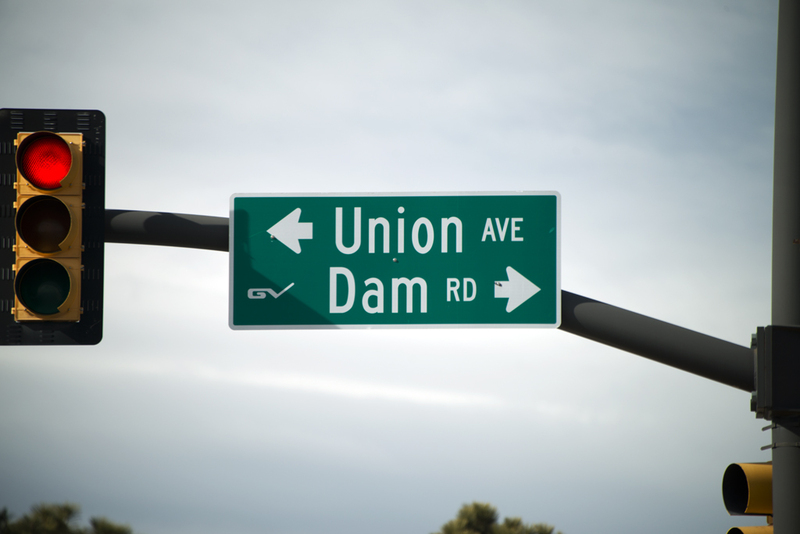 On top the dam is the Dam Road, my favorite road name of all time. They are currently trying to figure out how to improve the dam. There isn’t anything wrong with it, but since it was built, 300,000 more people live in the near-downstream area than lived there when it was built. If a biblical-proportion flood came along, those houses would be at risk. So they’re trying to figure out whether to build the dam six feet higher or whatever. But even if they do that, the people upstream would get flooded out. What to do? I’ll let the engineers figure that out. But back to the park. 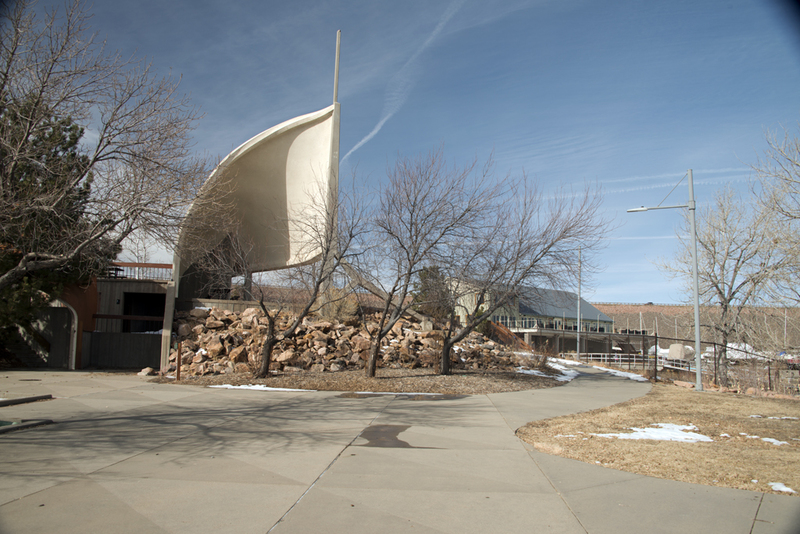 It’s open year-round, with lots of things to do there, such as RV or tent camping. They’ve just reopened the stables for the summer this month, so you can go horseback riding now. 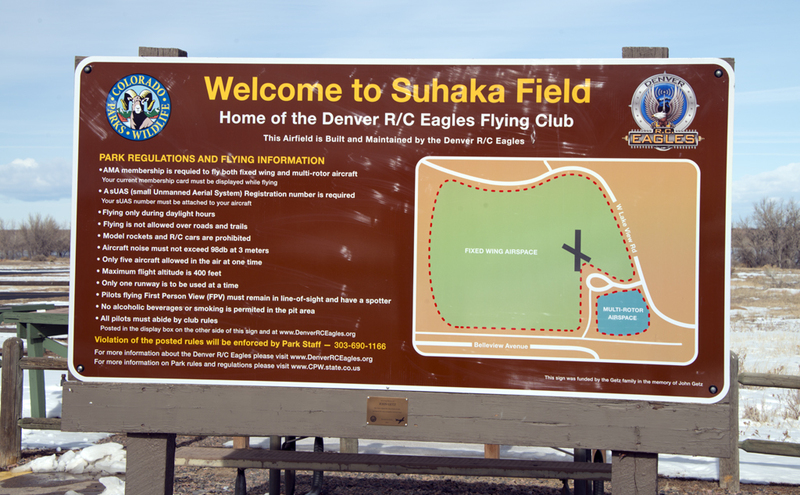 The park has picnic areas, a gift shop, some concessions and lots of parking. You can fish, jet-ski and boat on the water. I saw a sign saying every boat must be inspected before it is allowed on the reservoir. 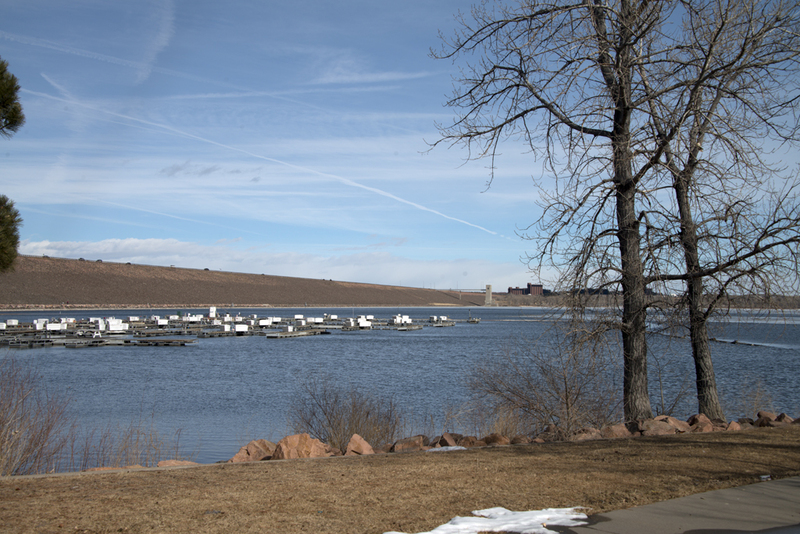 What I thought was a pollution-control measure, though, turns out to be something quite different: there’s an invasive mussel species that has nearly ruined a few other water bodies in Colorado, and they are trying to prevent it from coming to Cherry Creek Reservoir. 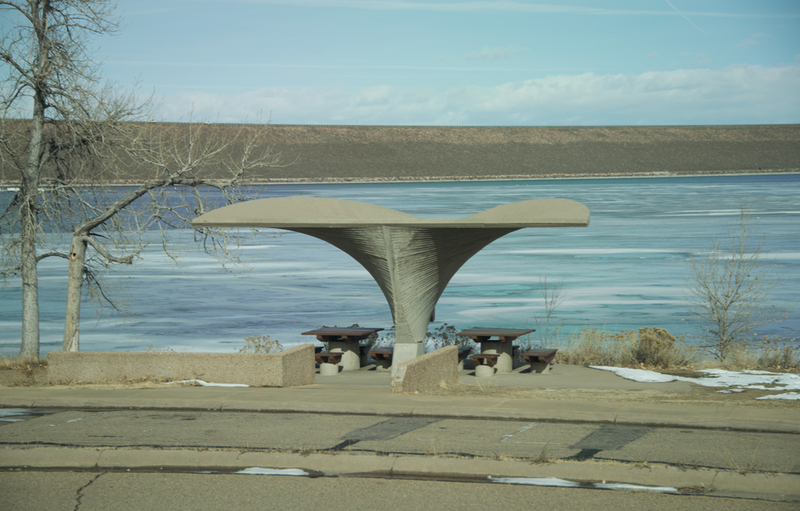 In fact, boats from Green Mountain Reservoir on the western side of the Rockies have a standing mandatory decontamination order because they found the mussels there. Apparently the larvae can get into a boat’s motor and be spread that way. 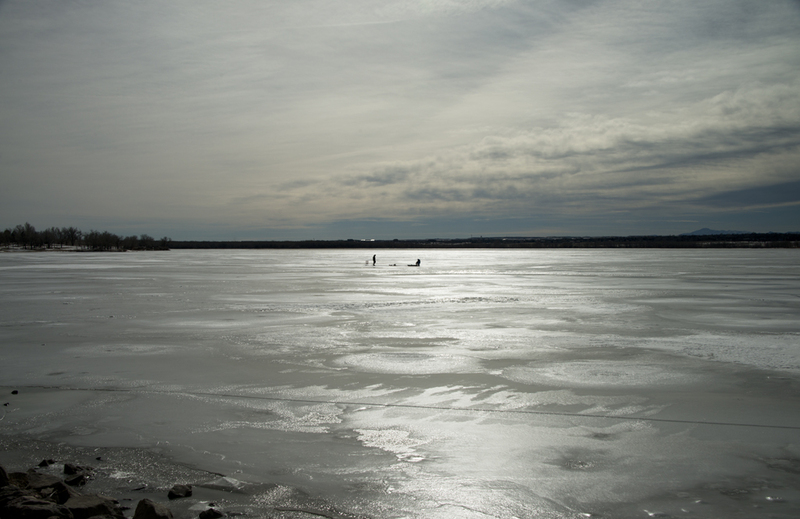 I was quite surprised to see people ICE-FISHING on the lake, even though it didn’t look very frozen over to me! See those crazy dudes in the middle in this photo? 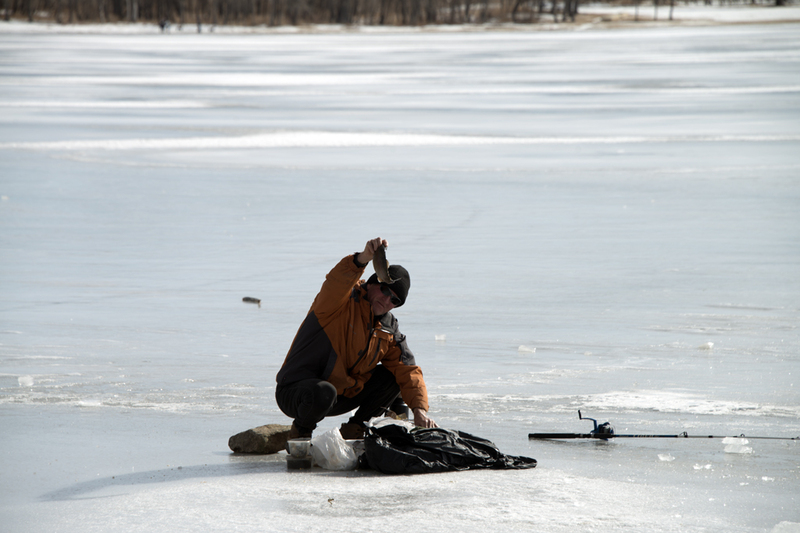 That’s an awl between them on the ice. They’re braver than I am to step out on that ice on a warmish winter day! 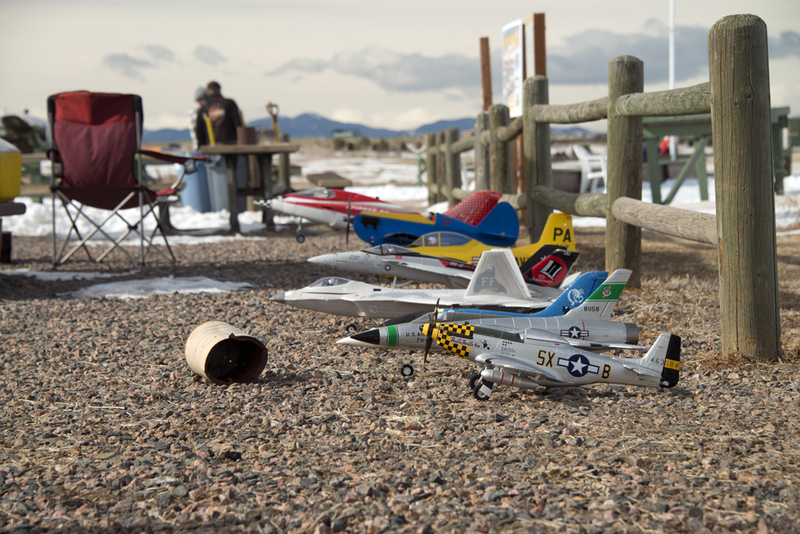 We also discovered a model-airplane field in the park, operated by the Denver R/C flying club. 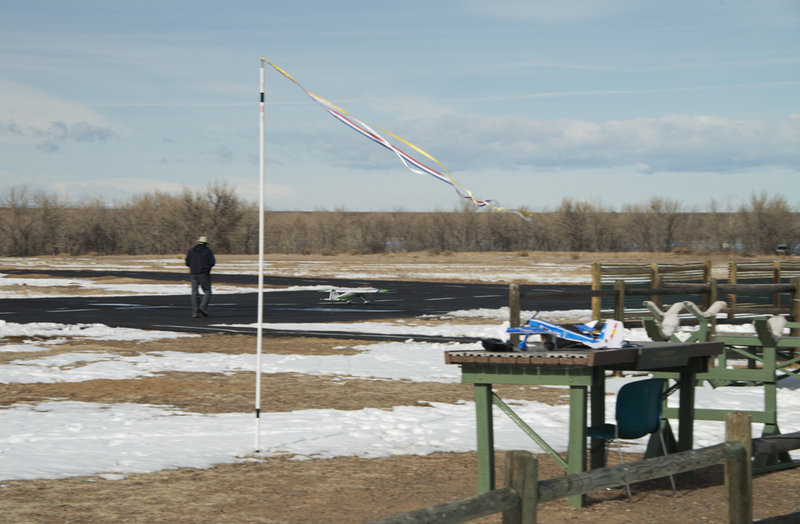 It has paved runways, a windsock and everything! 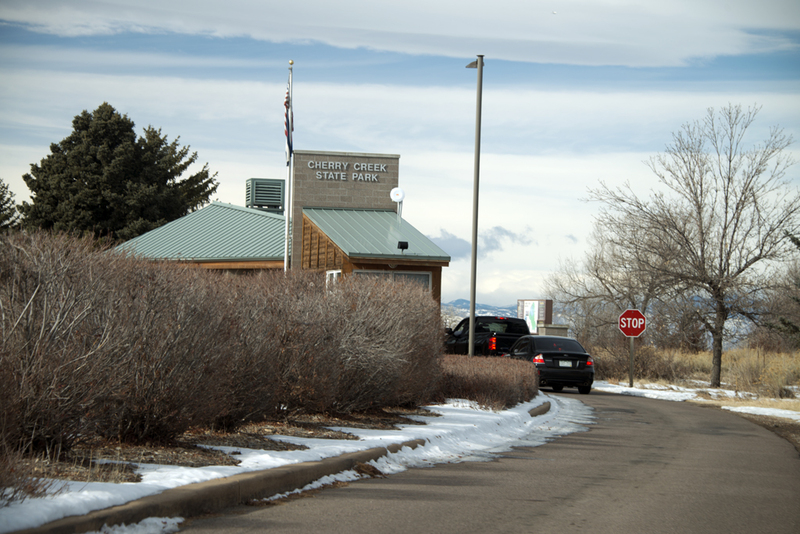 Other things to do in the park: archery, hiking, biking, birding, canoeing/rafting/kayaking, cross-country skiing, showshoeing, ice skating, volleyball, waterskiing and wildlife viewing. 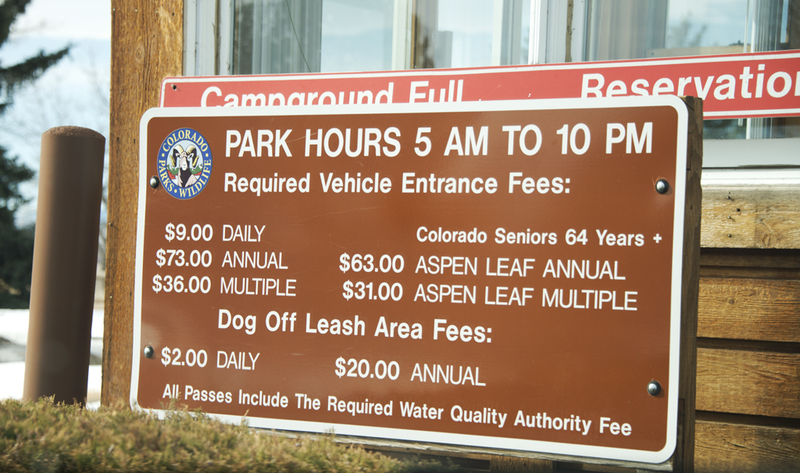 You can rent bikes, fishing boats, horses, jet skis, paddle boats, pontoons and ski boats, too. 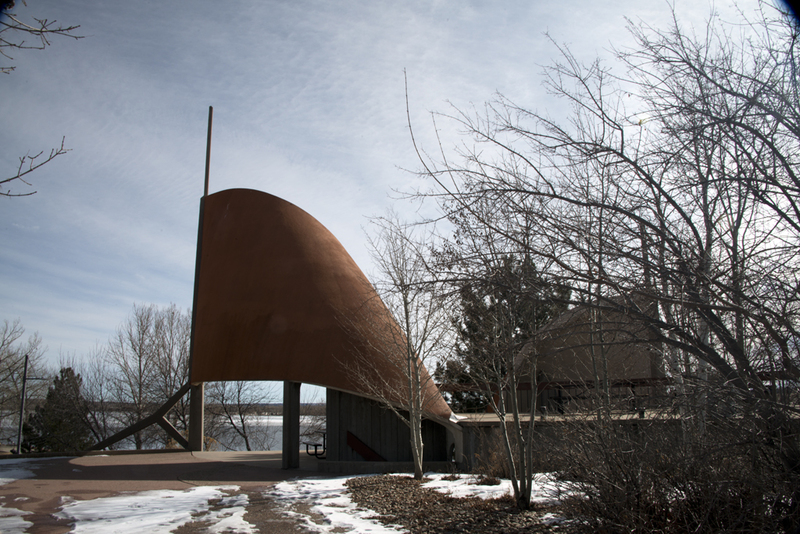 Fun fact: In 1993, Cherry Creek State Park hosted Pope John Paul II, along with 500,000 faithful for an outdoor Catholic mass. They were celebrating World Youth Day. Although I don’t think any popes are planning a visit soon, I’m looking forward to seeing the park in its summer finery in the near future. 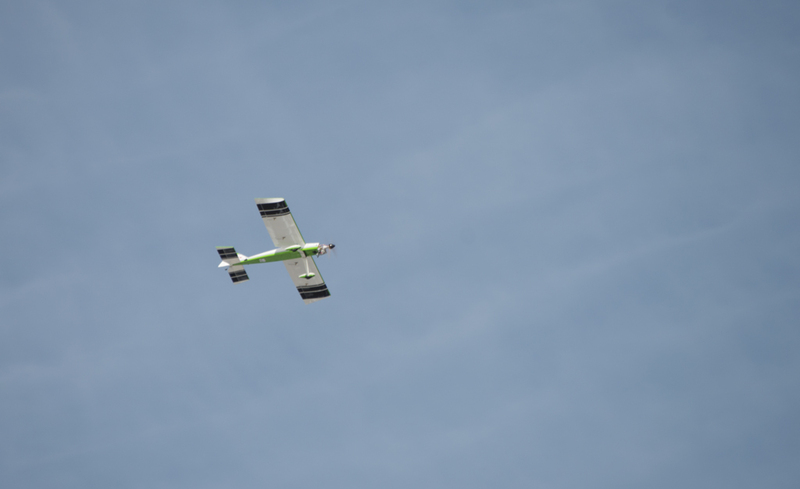 Look for photos of that!